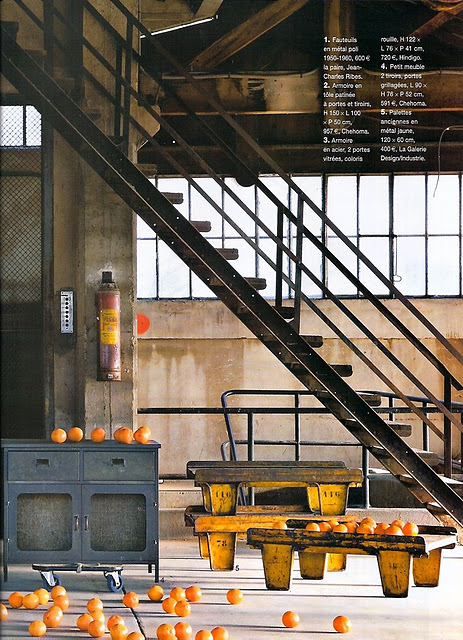 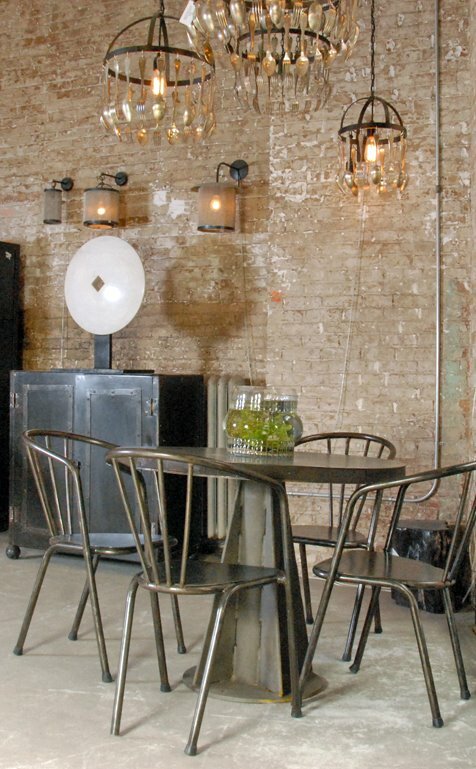 You might wonder what industrial style is for interior decorating. 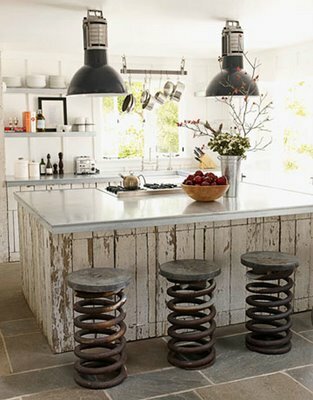 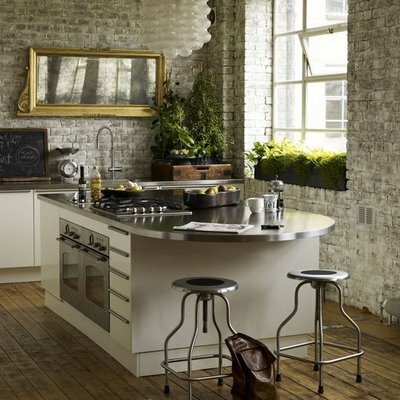 It’s a quite popular trend that is inspired by old factories and industrial spaces. 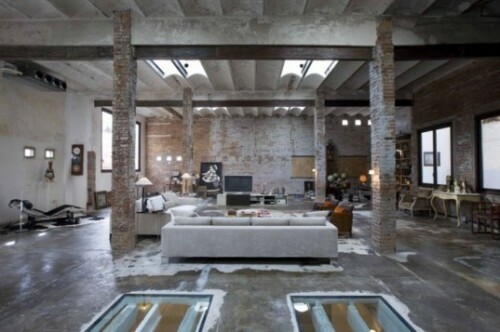 It was born because more and more old warehouses, barns, churches, and indutstrial buildings were converted into living spaces in recent years. 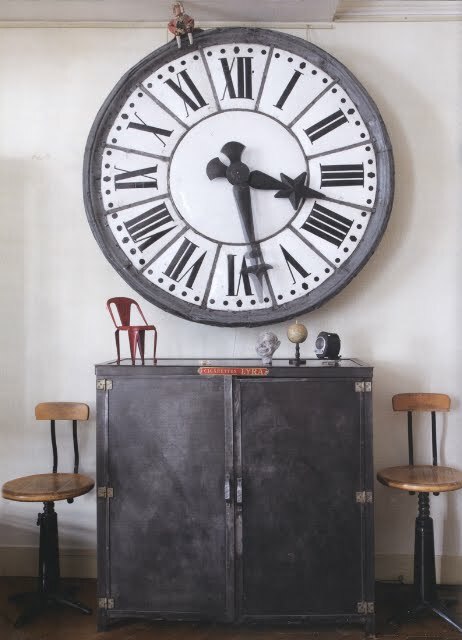 The style is characterized by utilitarian surfaces, stripped-back architecture and salvaged objects. 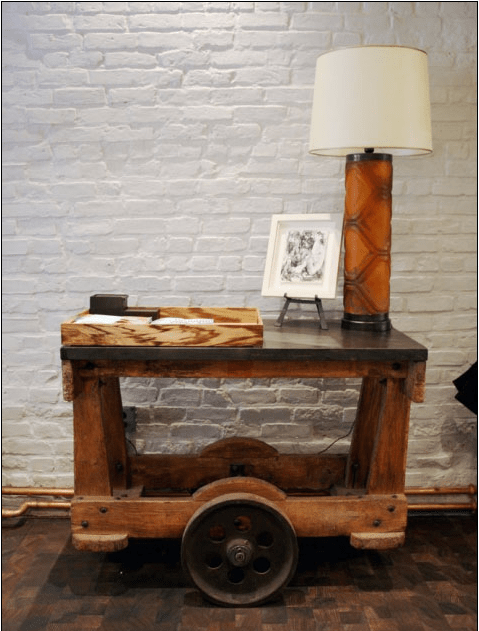 Almost in every industrial interior you’ll find rough weathered wood surfaces, exposed bricks, bare concrete elements, iron pipes and so on. 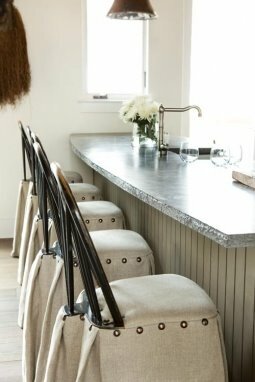 The best thing about it that during a renovating process you can leave some surfaces unfinished and they could become interesting decor elements. 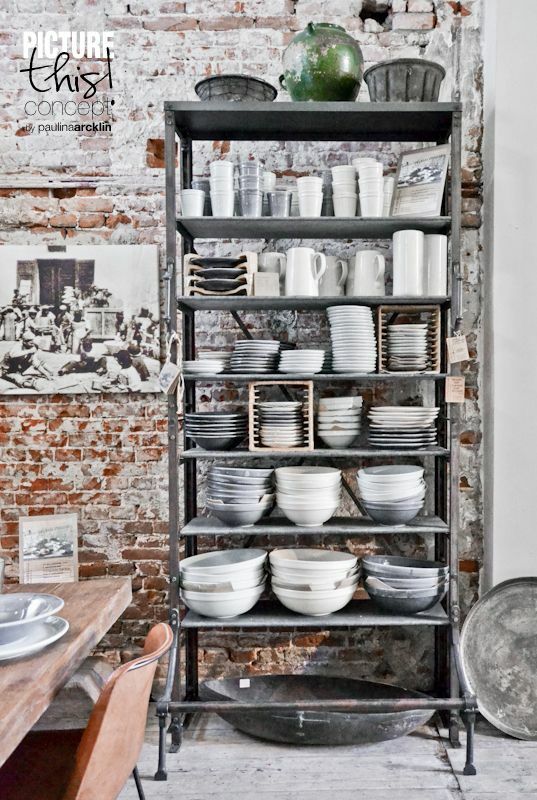 Those of you who lack of storage space might want to make an industrial shelves and storage racks. 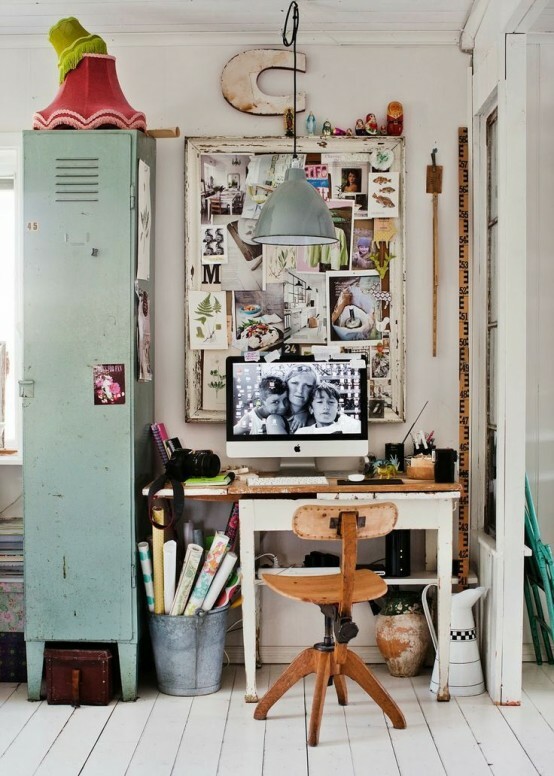 Probably this is the most easy kinds of projects we have for you. 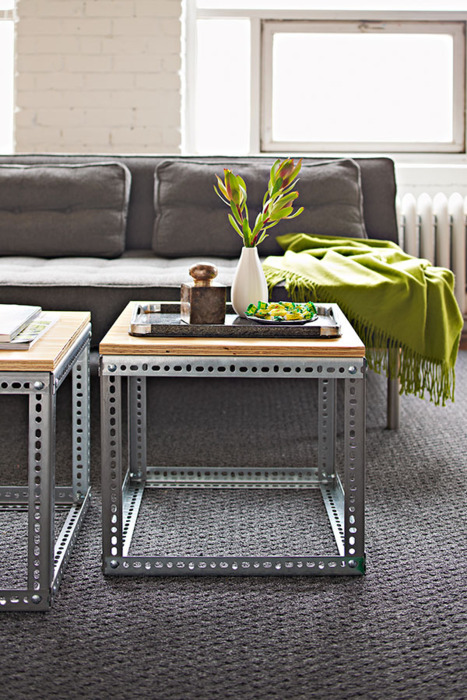 An industrial coffee table might also be not that hard to make. 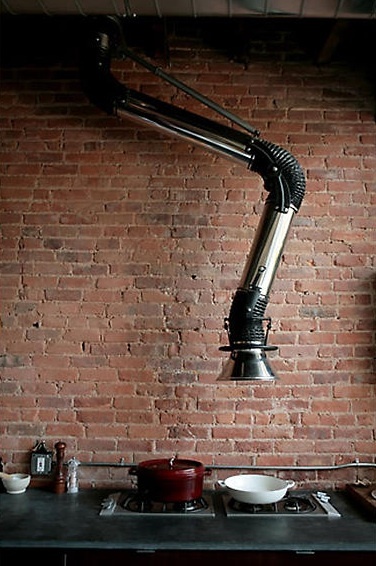 In the DIY industrial lamps roundup you’ll find tutorials showing how to make a lamp or a chandalier of pipes and bulbs. 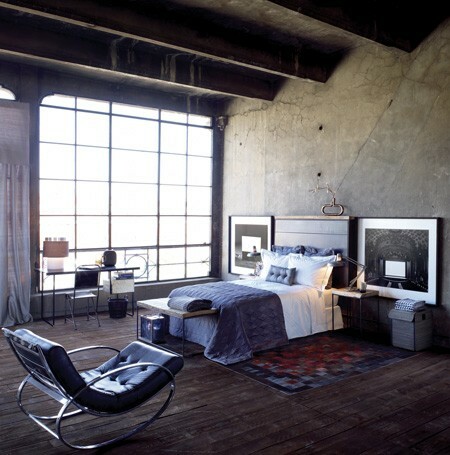 Probably your bedroom doesn’t have nightstands yet? 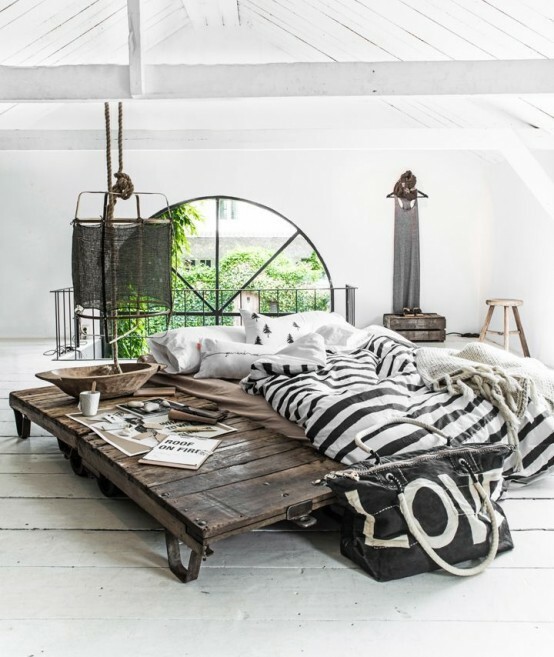 Metal pipes, rustic wood, rope and usual milk or wine crates could help you to build one. 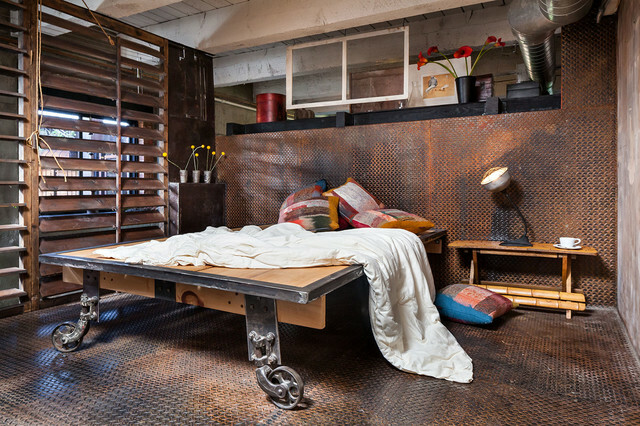 You can also build a bed from pipes or pallets to accompony these nightstands. 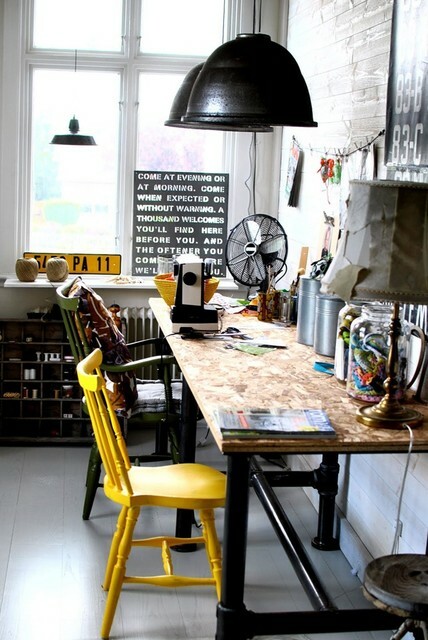 A DIY industrial dining table or a DIY desk are also popular kinds of projects nowadays. 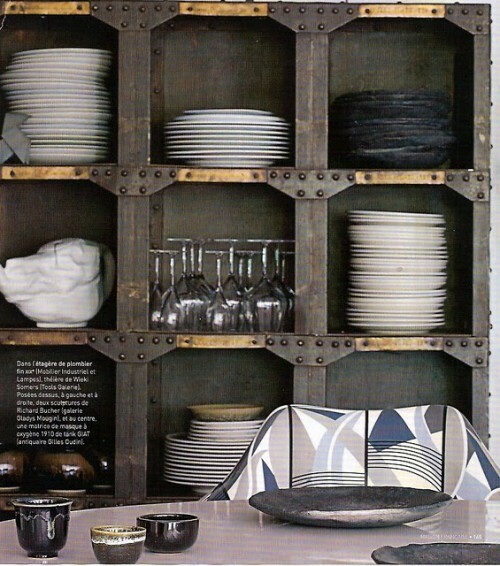 Besides, we also have plenty of tutorials showing how to make decor objects from copper pipes. 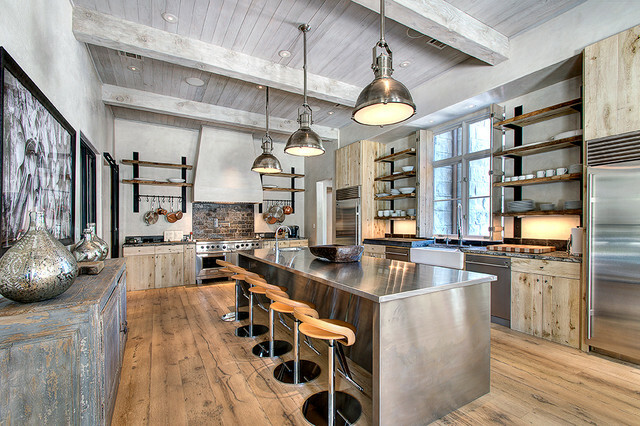 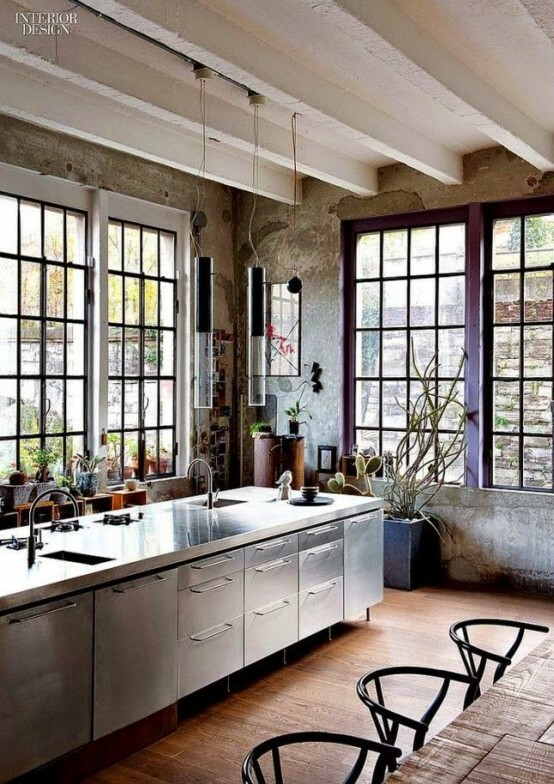 With industrial style big and spacious interiors usually come in mind. 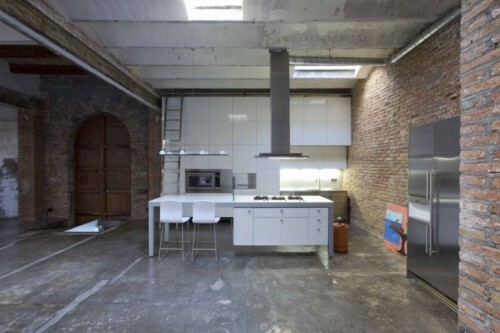 That’s why it make sense to go for an open floor plan if you choose it for your interior. 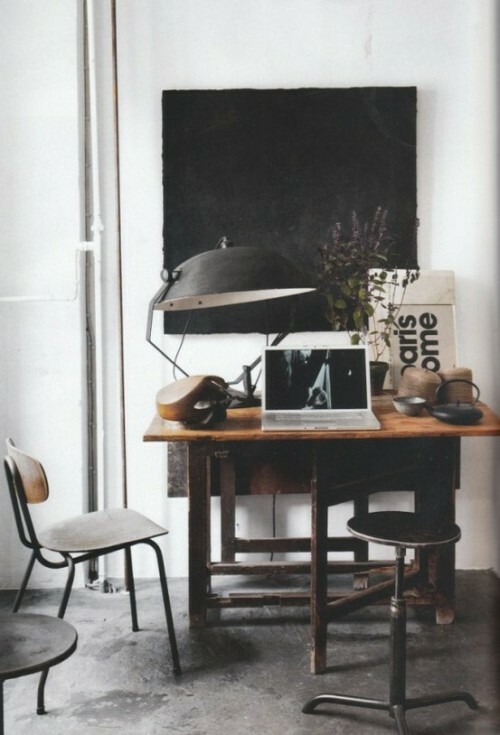 It works extremly well in lofts and studios. 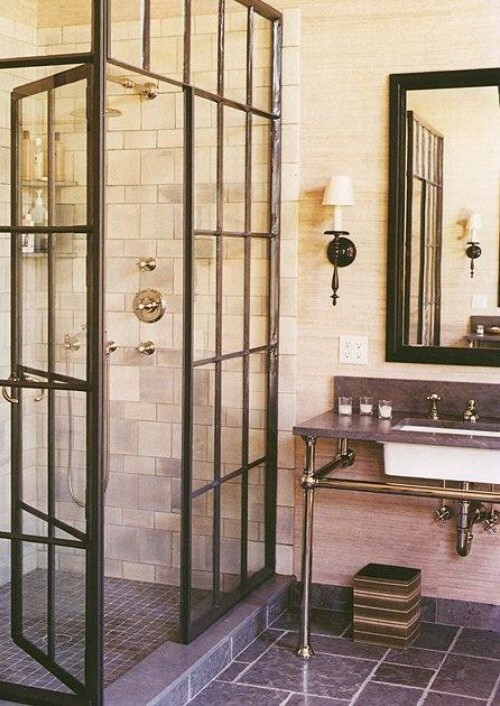 You can also leave the infrastructure open because it works for this style well. 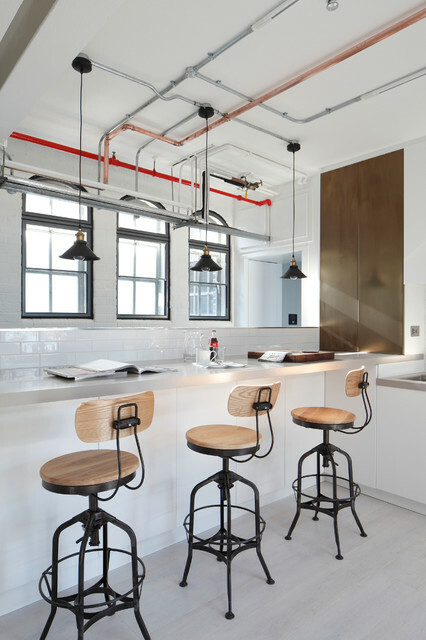 Embrace the rawness and enjoy all these amazing interiors we gathered here to provide you with ideas for your industrial style renovation. 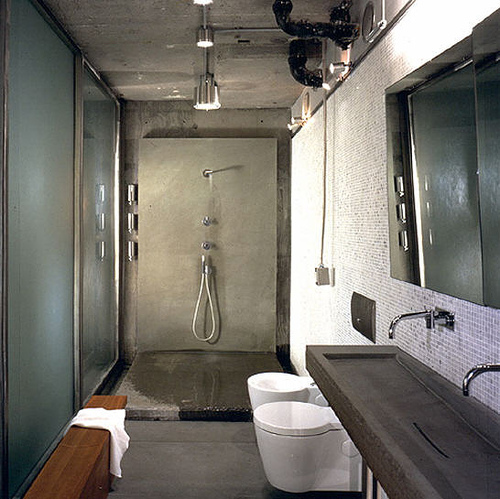 Metal sink vanity and unusual shower doors add a touch of industrial style to this bathroom. 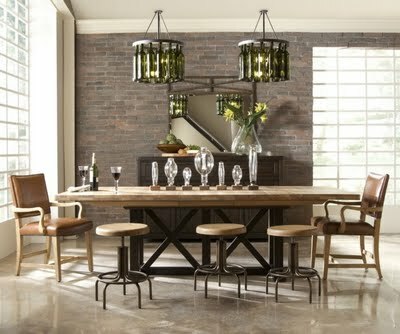 An awesome table that is made too looks like a part of an aircraft. 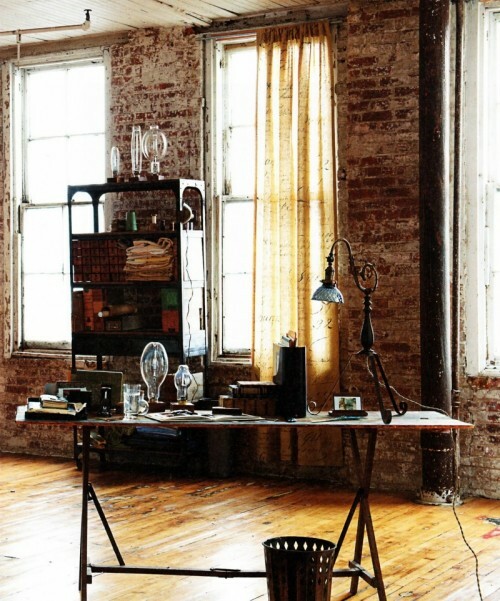 A vintage lamp, an old wooden desk and a stool from the last century make this small home office truly industrial. 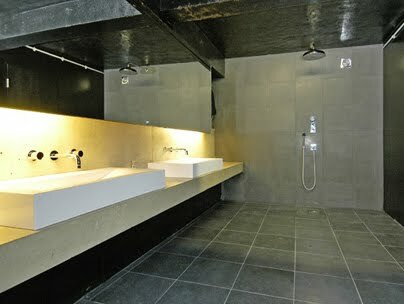 Bare surfaces are very significant for this style of interior decor. 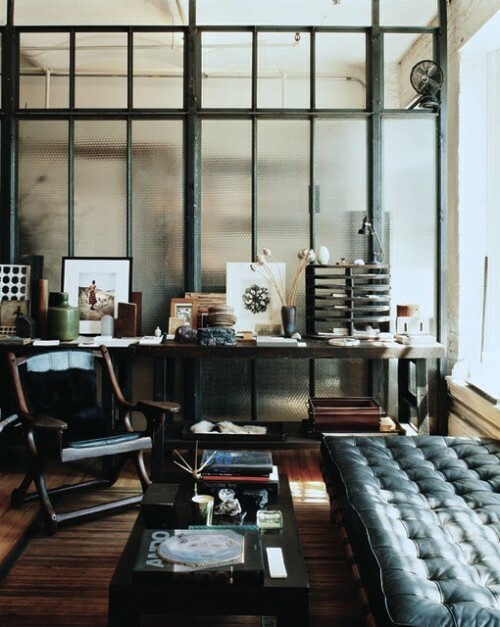 Industrial style works well for office designs too. 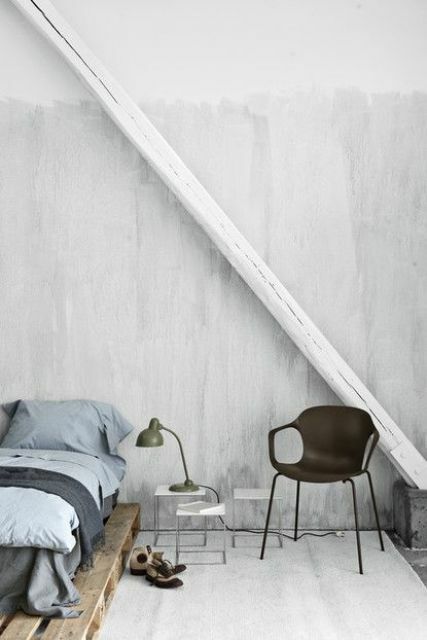 Bare concrete wall might be too much for a bedroom design but not this time. 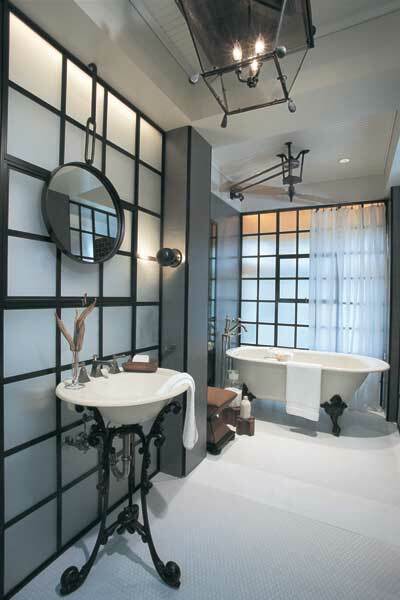 Several industrial-style light fixtures is more than enough to add a touch of this style to any room. 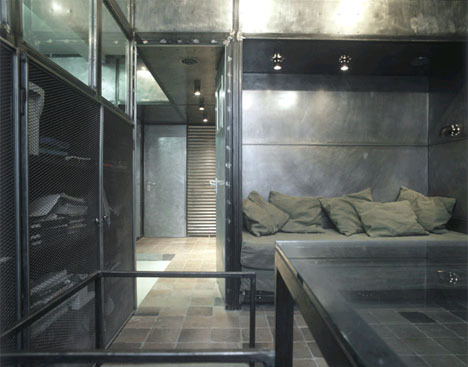 All-metal industrial bedroom design. 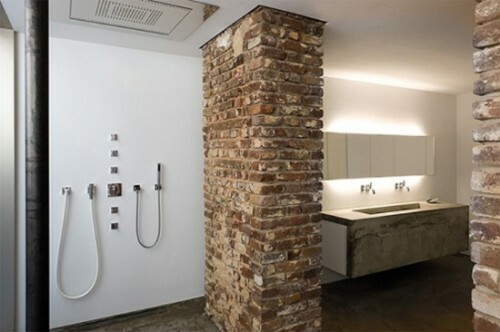 For some people that might be uncomfy but for masculine interiors this is a very interesting solution. 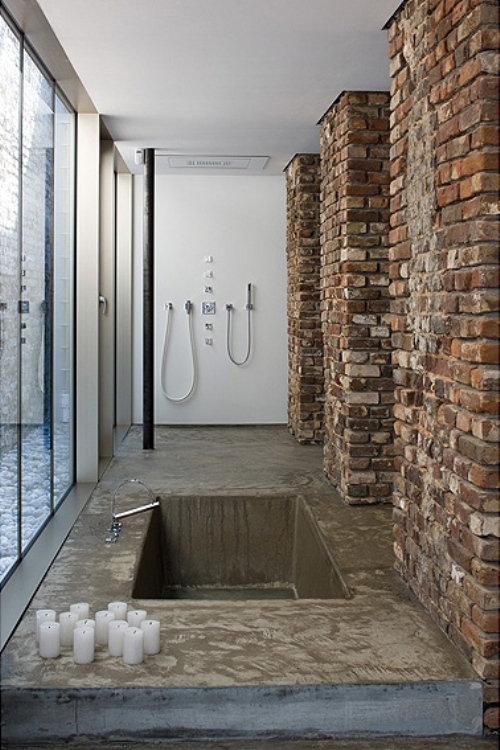 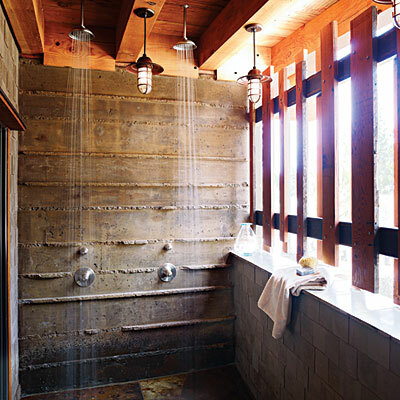 Bare brick works well with concrete in this shower design. 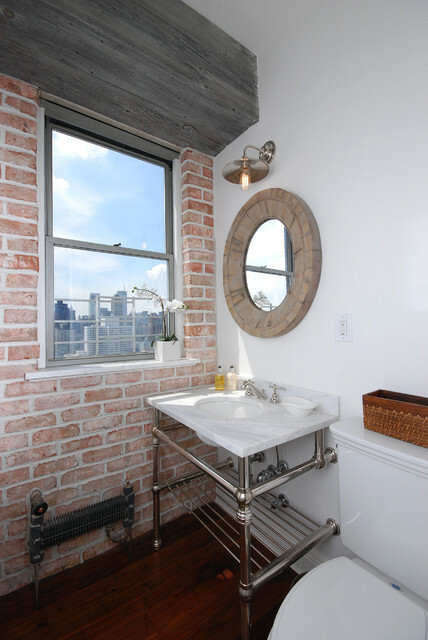 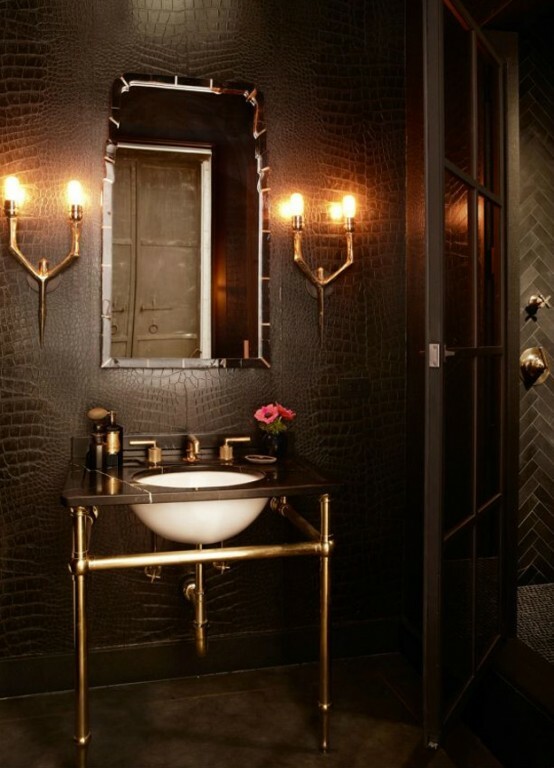 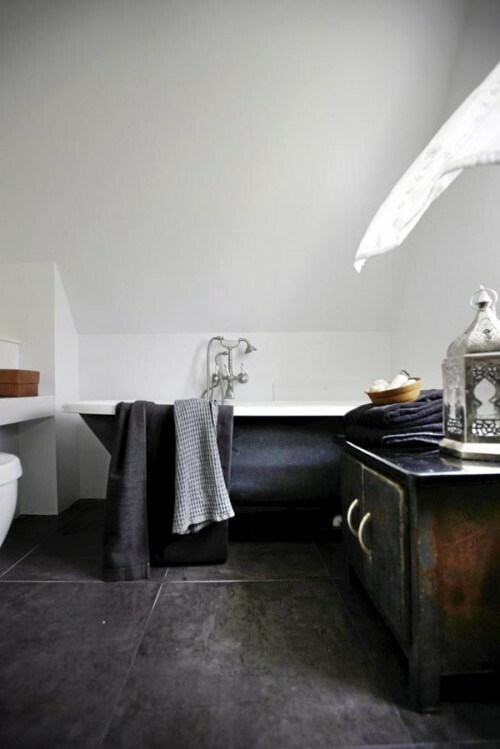 Add an antique vanity to a modern bathroom and you got yourself an interesting interior. 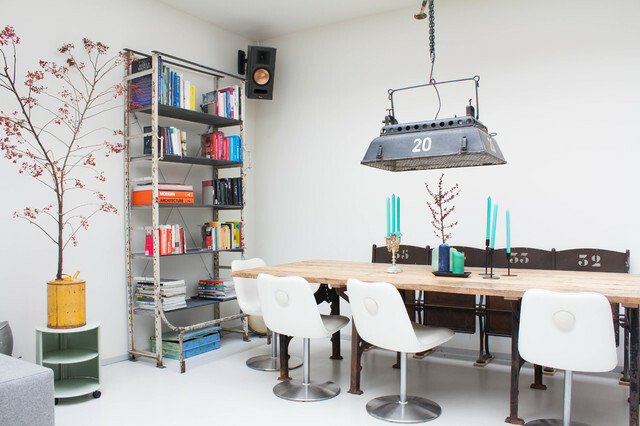 Old mechanical parts are perfect decorations for this style. 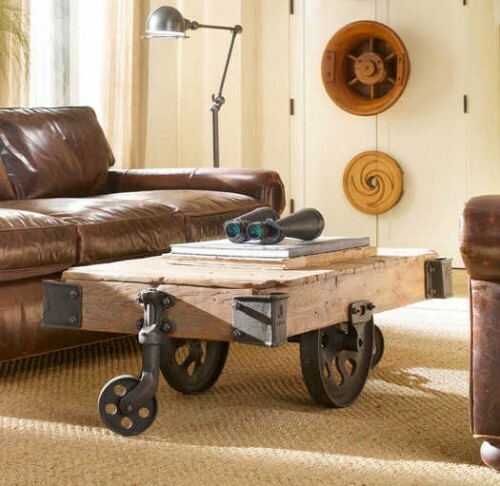 Even really strange old things could be adapted for industrial design. 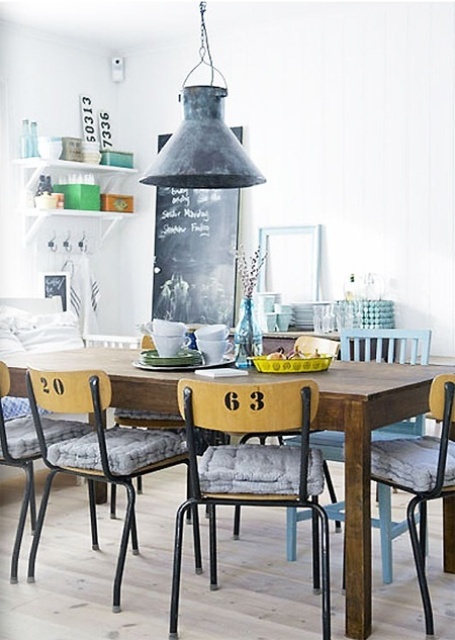 Old wood surfaces with scratched paint works well in industrial interiors. 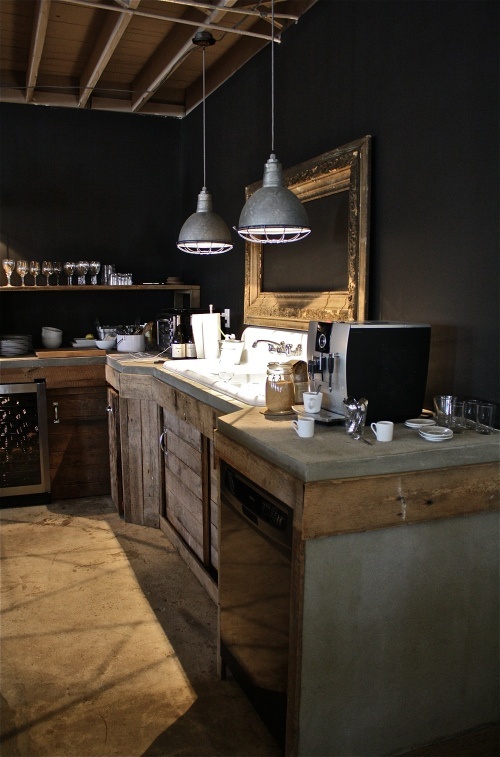 There are even modern appliances like cooking hoods that looks like they came from the previous century.